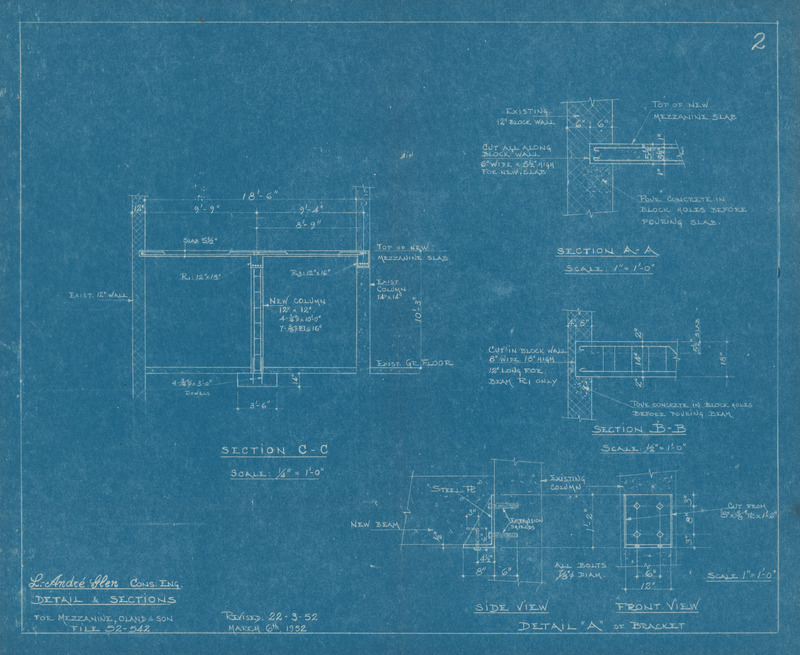 Item is a blueprint of a mezzanine for Oland & Son. 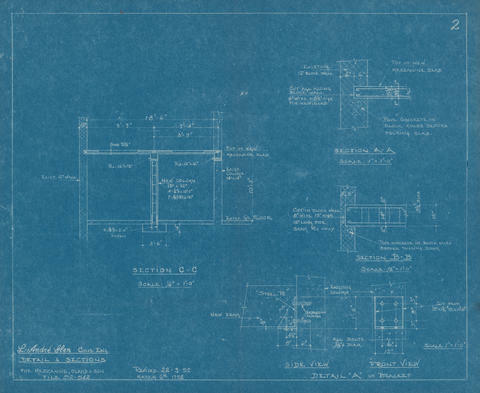 The blueprint includes views of Section C-C (scale 1/4" = 1'); Section A-A (scale 1" = 1'); Section B-B (scale 1/2" = 1'); and detail "A" of a bracket in side view and front view (scale 1" = 1'). The drawing was produced by L. André Glen on March 6th, 1954, and was revised on March 22nd, 1952.